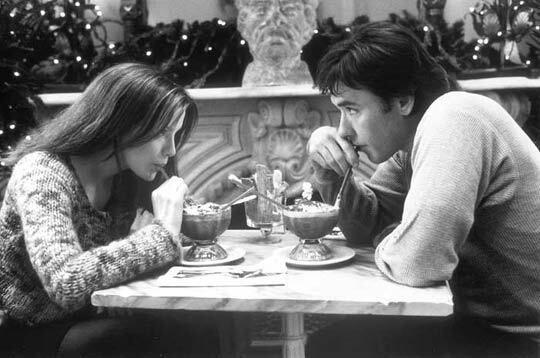 Do you remember the 2001 Romantic Comedy Serendipity starring John Cusack and Kate Beckinsale? Well back in 2005 for my College graduation present from my mom, she took me to New York City. 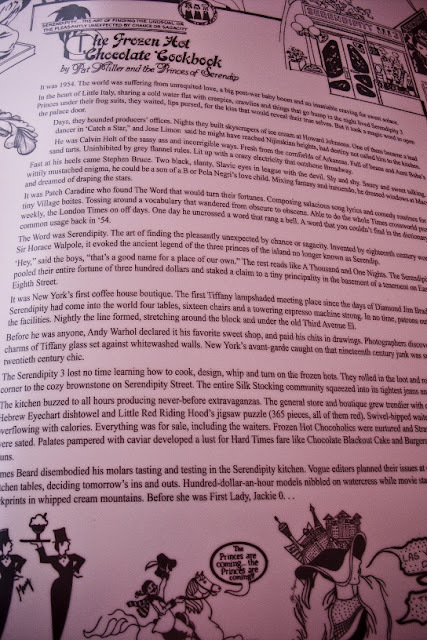 One place on my must see list was Serendipity III. 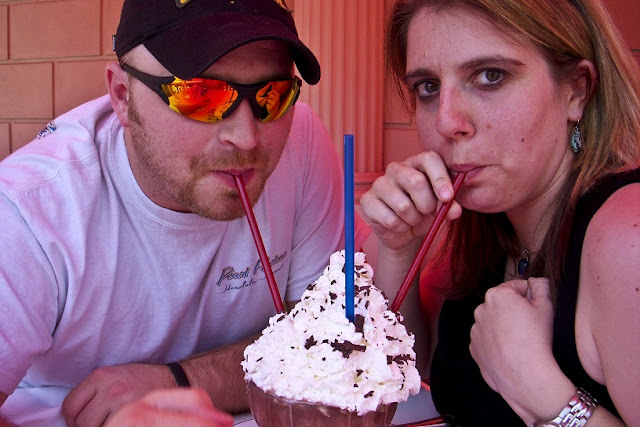 Do you remember that Frozen Hot Chocolate they ate/drank in the movie? I wanted to try one of those so bad!!! 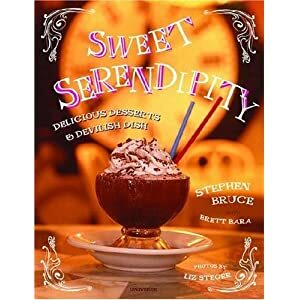 A few years ago I googled on the internet trying to find that fabulous Frrrozen Hot Chocolate recipe when I stumbled across this cookbook that had the recipe in it. Thank goodness… because living in SW MO it isn’t quite a hop skip and a jump away just to get one! Now I’ve made this famous Frrrozen Hot Chocolate recipe from the book for hubby before, but I’m sorry, it still isn’t quite the same. Then this last May, as I’ve stated many times before, we went to Las Vegas for a few days. 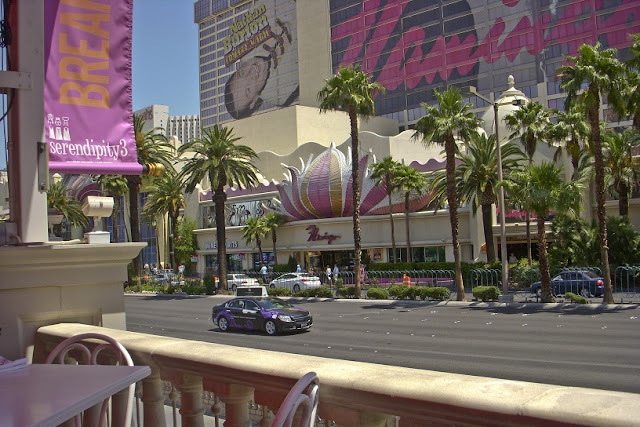 What do you know, they have a Serendipity III on the strip. Heck yeah! 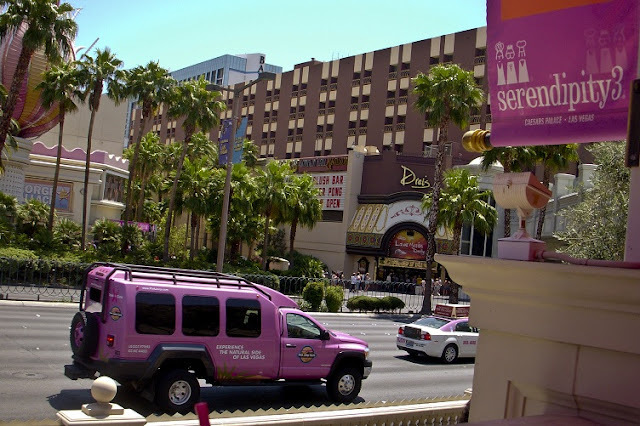 When I saw Serendipity III on the strip, I knew we just had to eat there. btw, I’m fairly certain we ate our way through Las Vegas :), thank goodness for all the walking I did or I’d have come back weighing in at battleship proportions :). 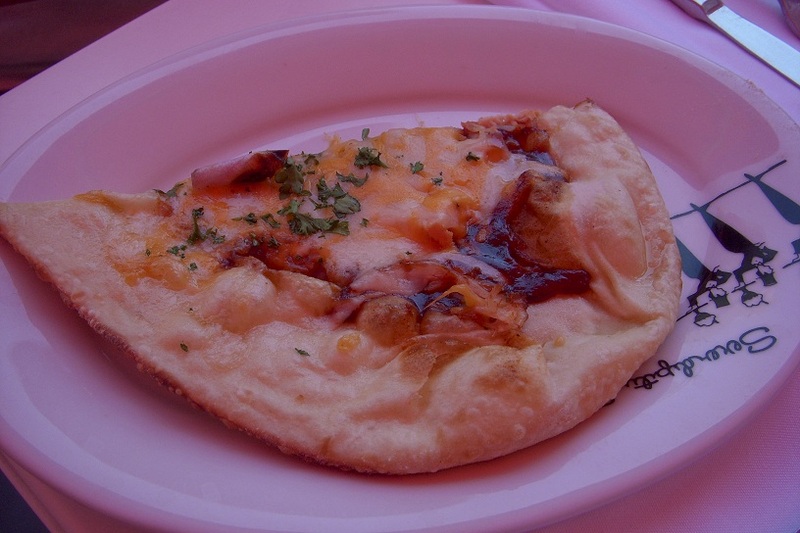 After glancing over the menu we chose to go with an appetizer & a pizza to share. The food portions were large and it was enough for us! We used our appetizer as our meal also, so it came at the same time. 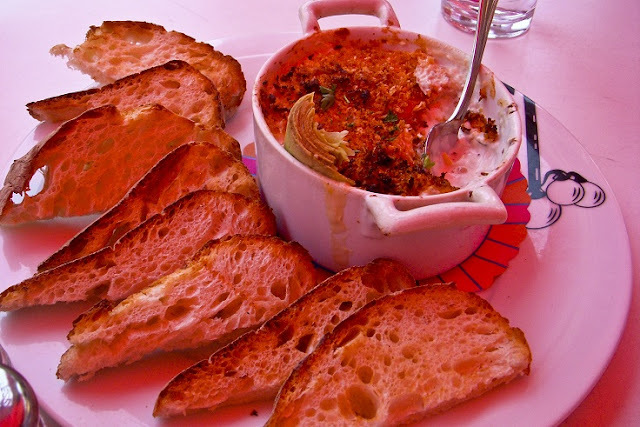 Crab Artichoke Dip – Luscious Creamy Maryland Jumbo Lump Blue Crab and Artichokes topped with Melty Cheese and served with Ciabatta Toast Points. And seriously, you can’t enter Serendipity III without at least trying one of their famous desserts. We chose the Frrrozen Hot Chocolate, but they do have other options available! Hubby says the one out of the recipe book is a good close match, but nothing beats all that yumminess there! In fact, we went back later in the week and got a second one for dessert! Mom got a Strawberry Frrrozen Hot Chocolate, but we stuck with the classic! The best part about this one was we got both of these for free! Mom had been there so much for work that she signed up for rewards points somewhere and had acquired enough that we both got desserts for free! Can’t beat that! btw, ours is larger b/c it’s the Frrrozen Hot Chocolate for Two. So now I can’t leave you without sharing the recipe I found for the Frrrozen Hot Chocolate. Like I said, this isn’t quite as good as actually getting one from Serendipity III but living here in SW MO where you can’t just walk down the street and get one (which is actually a good thing), this comes pretty darn close! Chop the chocolate into small pieces and place it in the top of a double boiler over simmering water, stirring occasionally until melted. Add the hot chocolate mix and sugar, stirring constantly until thoroughly blended. Remove from heat and slowly add 1/2 cup of the milk and stir until smooth. Enjoy with a spoon or a straw –or both! In a blender place the remaining cup of milk, the room temperature chocolate mixture, and the ice. Blend on high speed until smooth and the consistency of a frozen daiquiri. 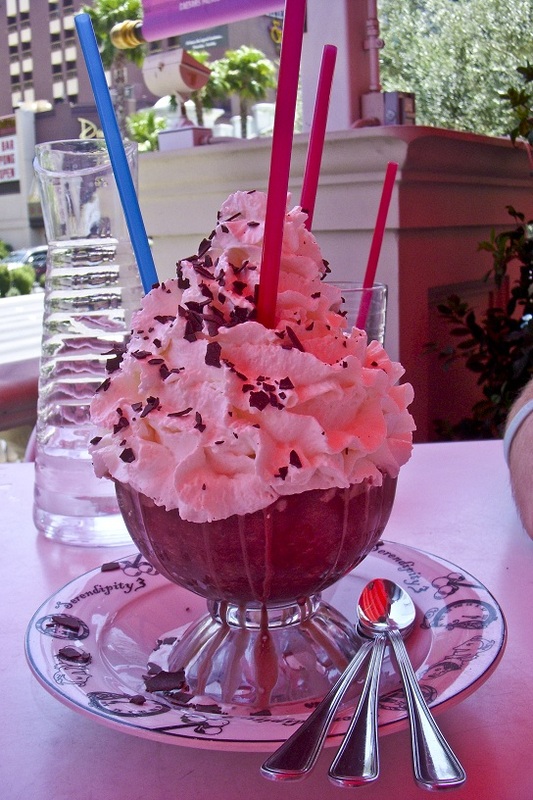 Pour into a giant goblet and top with whipped cream and chocolate shavings. 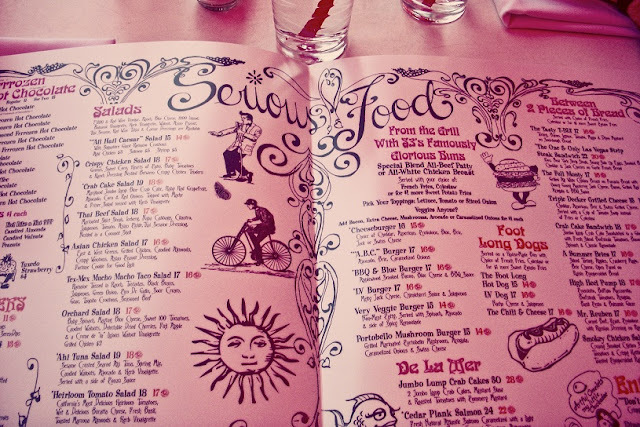 Enjoy with a spoon or a straw –or both! 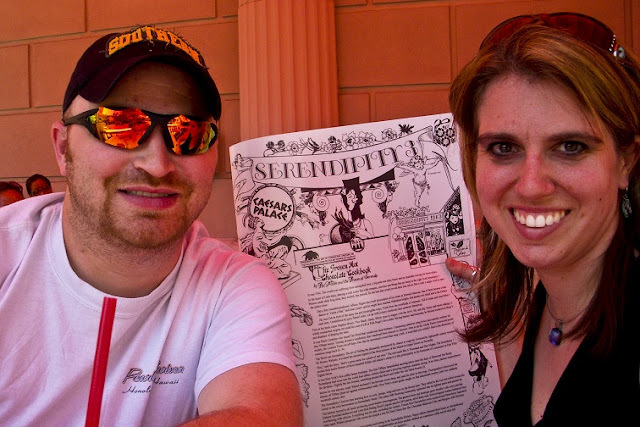 So have you “like“d Serendipity III on Facebook? Here’s a Review for more information. 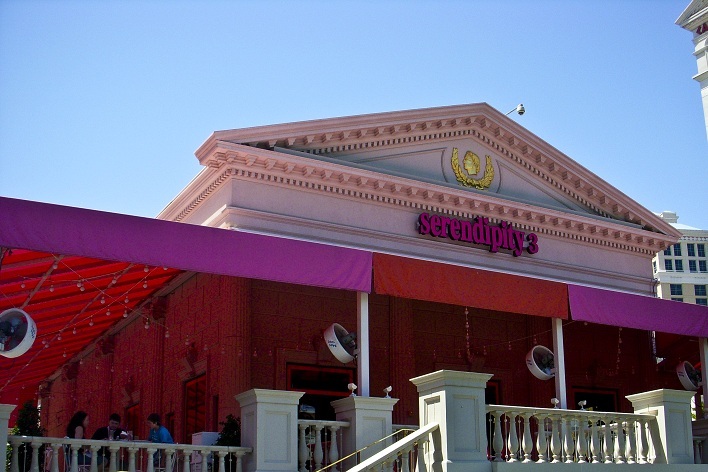 Want to know the history of the original Serendipity III? And of course their website.